The wife of a Hong Kong bookseller who disappeared last week, and is believed to be in mainland China, has withdrawn her request for police to help find him saying he has been in contact. A letter reportedly handwritten by her husband, Lee Bo, was published by Taiwan's Central News Agency. It says he had gone to the mainland to work with "concerned parties". 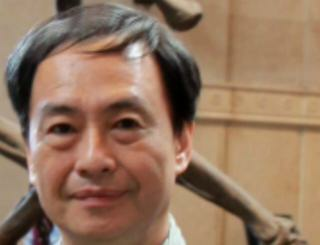 Mr Lee is the fifth man linked to a shop selling works critical of China's government to go missing since October. One of the men is a British citizen, the UK foreign office confirmed on Tuesday saying it was "deeply concerned". It did not name him - but reports have said Mr Lee holds a British passport. The disappearance of the men has raised concerns that China is undermining the territory's legal independence. Local legislator Albert Ho has said Mr Lee - also known as Paul Lee - was kidnapped and taken to the mainland. It's another twist in the mystery of the missing bookseller. Human rights activists who have been advocating for the Lee family say they believe the letter is genuine. In it, Paul Lee appears to be taking responsibility for leaving Hong Kong. And he implies he will be staying in mainland China for some time. The activists believe the letter was indeed written by Mr Lee, but under instruction from whoever is holding him. The intent, they say, is to tame the public outcry that has been sparked by his disappearance. Mr Lee's wife, Sophie Choi, had said last week that he had called her from Shenzhen, just over the border in mainland China, and told her he was helping with an investigation. She had said his return permit, which people from Hong Kong must show to enter China, was still at home - seen by some as evidence he may have been abducted. But in the letter dated Sunday, which was said to have been faxed to his colleague, Mr Lee says he had "returned to the mainland using my own methods". He also said: "I am very well. Everything is fine. And please do look after the bookstore." Mr Lee raised the alarm when four of his colleagues at the tiny Causeway Bay Bookstore and related publishing house, Mighty Current, went missing in October. One of them, publisher Gui Minhai, was last seen in Thailand. The other three were last seen in mainland China. The BBC's Juliana Liu in Hong Kong says some suspect the men's disappearance is connected to a book the publisher may have been planning about an alleged former mistress of Chinese President Xi Jinping. There has been no official comment from the Chinese government on Mr Lee's case. However, an editorial in the Global Times newspaper, a mouthpiece for the Chinese government, on Tuesday, said some were trying to "hype" the incident "to create estrangement between Hong Kong and the mainland".